If you want exciting commissary and exchange discounts that you can access all in one place for free before your shopping trip at Fort Bragg in North Carolina, MyMilitarySavings.com has everything you could possibly need. We are the website that thousands of American military families around the world turn to for current savings, coupons, and more. In addition to the deals right on our site, we also provide helpful links to every military exchange website and the Defense Commissary Agency so you can easily access exclusive deals without the hassle of scouring the internet for savings. 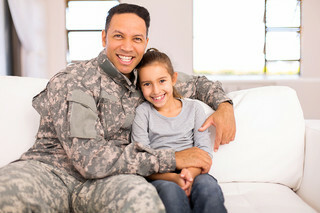 When you join MyMilitarySavings.com, you’ll be able to enjoy much more than just coupons for the commissary and exchange. Every military shopper on our site is part of an enormous and helpful community of members of the armed forces and their families who understand the unique challenges and stresses of military life. You’ll be able to interact with other military families around the world through blogs and social media and find stories, contests, shopping tips for the exchange and commissary, recipes, and more. If you’re ready to become a part of our growing community of military shoppers and take advantage of free savings at the commissary and exchange at Fort Bragg, NC, sign up for your free account at MyMilitarySavings.com today.